By 2050 the world population will be increased to 10 billion people. In order to meet the needs of this growing population a solution is required to be able to deal with the scarcity of water, food and arable land. 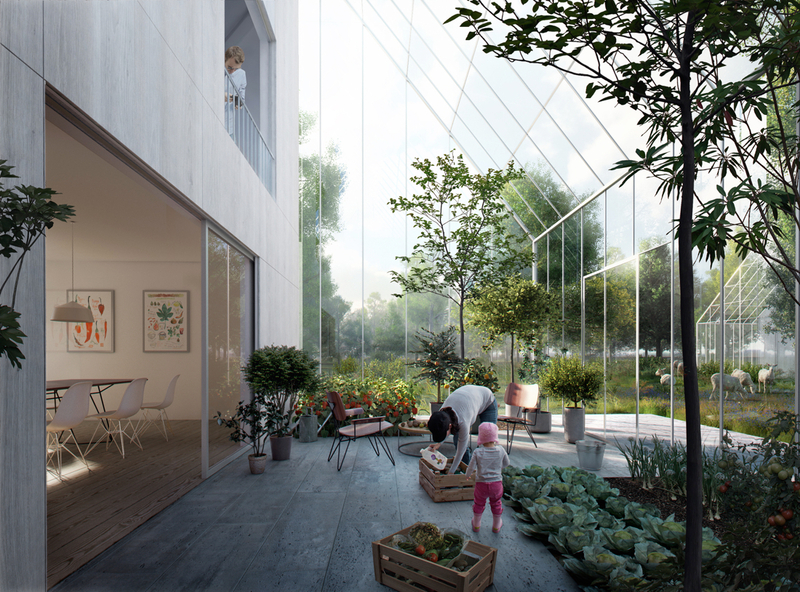 ReGenvillages develops fully self-sufficient villages that connect people with each other and with nature. These villages are comprised of power positive homes, renewable energy, water management, and waste-to-resource systems, meaning that the residents will get their energy, water and food from their own home and garden. Furthermore, an IoT-integrated infrastructure enables them to use their surpluses of energy, water and food for reducing mortgage payments. The construction of the first pilot takes place in Almere.